With this new system, there will be a new Monster of the Day each day, all day. There is a new currency being introduced to Lost Lands called Obsidian. 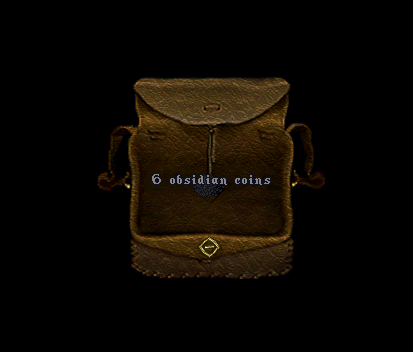 Obsidian can be earned by participating in Monster of the Day. A new Obsidian Vendor has been introduced. This vendor has some familiar items that have been transferred from the Platinum Vendor but also a fair amount of items that are completely new to UOLL. A couple of special items that have something to do with a new crafting option will be on this vendor as well. We have added masonry to UOLL but with a twist. Characters with GM carpentry will be able to use a purchased masonry book. This will allow that character to craft certain masonry items. The book, as well as a charged pickaxe, is available on the Obsidian Vendor. GM mining skill is required to use the masonry pickaxe. The masonry pickaxe will work off of veins much the same as the mining skill does. The locations you mine in order to get the ore type you are looking for is the same with the masonry pickaxe as it is for regular mining. The chance of getting the ore type you are after is the same as well. The chisel & hammer necessary to craft these items will be available on tinkerers & at some point in the future will be available to craft with the tinkering skill. Each week the player with the most gathered points in Monster of the Day will temporarily gain the reward for winning Monster of the Week! This item lives with the player for one week & cannot be transferred from player to player. The item automatically transfers to the new winner each week. This item is a special mount! The one you get is random but we have some fun ones in the mix! This mount is purely limited to the specific toon that won 1st place & once again is impossible to transfer. The Obsidian Queen statue hue has been corrected. All of the Forest Lord TI mobs outside of the Forest Lord & his ethereal warriors & fairies will no longer give negative karma. Halloween content is coming out in a couple of weeks! Have fun Lost Landers! !